I’ve been a little quiet on the blogging front as I’m getting my book, Undercurrent, ready for publication next month. I’ve had a great response from my Carmen Cromer author site (Cromer means ‘lake of crows’. 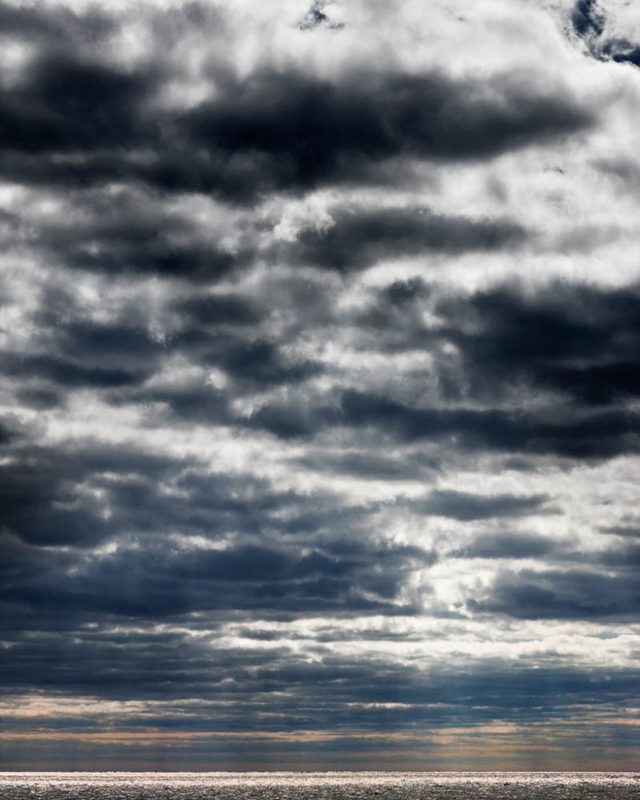 Creepy…), and on the Undercurrent prologue I uploaded (in part to mark the 100th anniversary of the sinking of the Titanic, as a conspiracy theory surrounding it is a major plotline in my crime novel). … and it’s going to scare the s**t out of me to be there on my own. I’m totally afraid of the dark. I’m one of these people who (at 35 years old) still checks under beds, sleeps with a knife under my pillow and has to close all the cupboards. I’m very suggestible. Perhaps that’s what’s makes me an effective crime writer? Anyway, I wil be channelling my pure terror into getting Undercurrent polished for publication. Wish me well (and at least one decent night’s sleep). 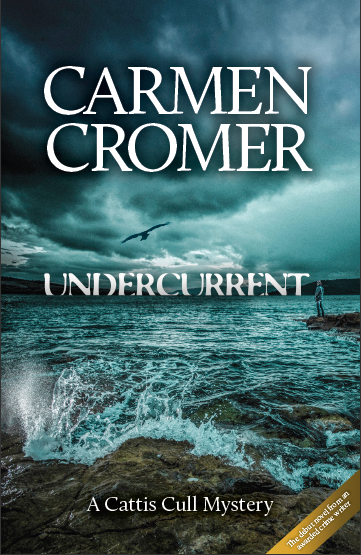 Here’s the cover for Undercurrent, my debut crime novel. What do you think of the cover? 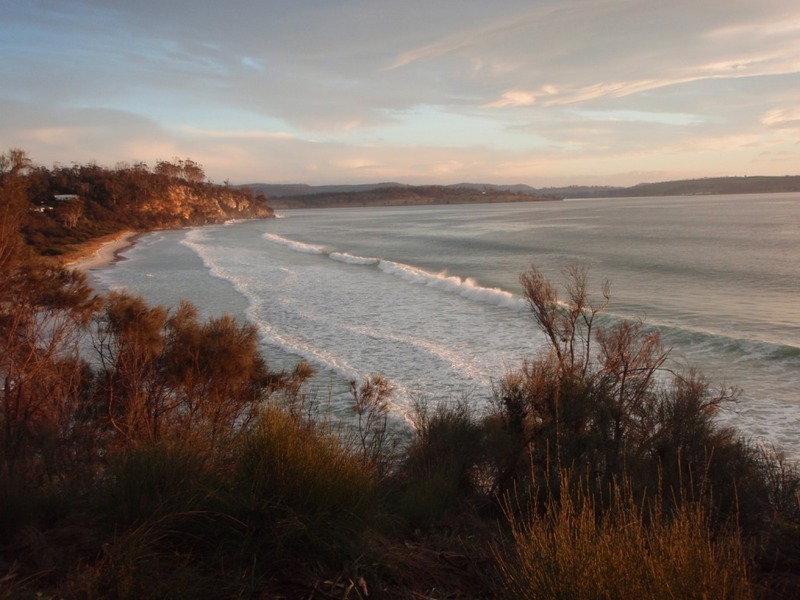 The image was taken a couple of weeks ago, at Tinderbox, Tasmania (where a lot of the book is set). It looks good as a thumbnail and in greyscale, too – which are both important for an ebook. As the theory goes, the Titanic didn’t go down on 15 April 1912—it was her sister, Olympic. The Olympic was scrapped in 1935; now, the Titanic lies buried so deep there’s no technology capable of unearthing it. This conspiracy theory has provided me with a very juicy plot device. Imagine the implications if this conspiracy theory was proved! Strangely, despite the fact that I’ve based my crime book around the conspiracy theory, I don’t have an obsessive interest in the Titanic – just the ‘regular’ level of curiosity and empathy. As a writer, I’m drawn to the pathos in what is an enduring human tragedy. What Title Should I Choose for My Crime Novel? I’m about 10 days away from launching my dedicated author site (CarmenCromer.com). Exciting but scary. Although I’ll be launching with a free chapter (with the full book to follow later), I’ll still need to upload a ‘coming soon’ banner and the book cover. I’m still undecided on the title of the book. However, there are oodles of books out there already titled Tinderbox. I have two other options I’m considering. It’s 15 April 2012. And the Tasmanian coastal town of Tinderbox is still sleeping when an expert diver plunges into the dark waters off its shore. Within minutes, she is dead; carbon dioxide the silent killer. The creepy, lonely death of the diver sparks a disturbing journey for Berlin-born academic, Cattis Cull—one that takes her deep into a conspiracy theory surrounding the greatest maritime mystery the world has known: the century-old Titanic tragedy. Cattis’ unravelling of the crime takes place against a backdrop of political corruption, the contested Tasmanian wilderness, and an undercurrent of menace that began with slaughtered aborigines and cannibalistic convicts… and continues to this day. Having read the synopsis, do either of those potential titles make sense? *I’m going to have to bite the bullet on what name I go by as a fiction writer, as it’ll be my site URL. As I’m published in mainstream press under my real name, do I ‘liberate’ myself with a pen name (and, as Richard Curtis writes, possibly Perish by the Pen Name in the process), or do I have the guts/ego to be myself? My real name has traction already in publishing circles, so that’s probably the sensible, strategic way to go… Hmm. **After a meeting with my web designer, he’s advised me against going down the path of the Templatic Publisher theme (while lovely, it’s too complicated as it turns out). He’s recommended customising a WordPress site that then redirects to a BigCartel ‘bookshop’, where the transactions will be handled fuss-free by the Pulley app (both ebooks and traditional books). At the moment, we’re looking at 1A3 Template for WordPress – but it’ll depend on how well my author logo (which includes a signature), masthead, style sheet (colours, fonts etc) fit into it. It looks pretty lean, but as it’s designed for writers, it can be beautifully customsied, and it suits the spare look I’m going for (to match my writing).